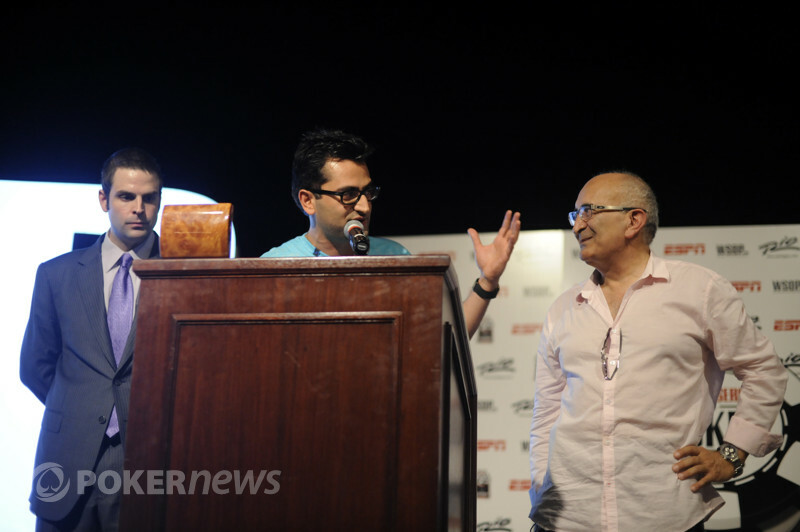 Antonio Esfandiari raised from under the gun to an unknown amount. He was called by Richard Yong in the next seat, Guy Lalibeté on the button and Roland De Wolfe in the small blind before Mike Sexton moved all in from the big blind for an additional 1.76 million. Esfandiari reraised to isolate and eliminated all of the others who made the first preflop call. Esfandiari held the and was up against the for Sexton. The flop, turn and river ran out and Sexton doubled up.